The Methodist Episcopal Church was organized in the Sandusky area in 1818. The congregation built this church in 1872 on the Southwest corner of Washington Street and Jackson Street. 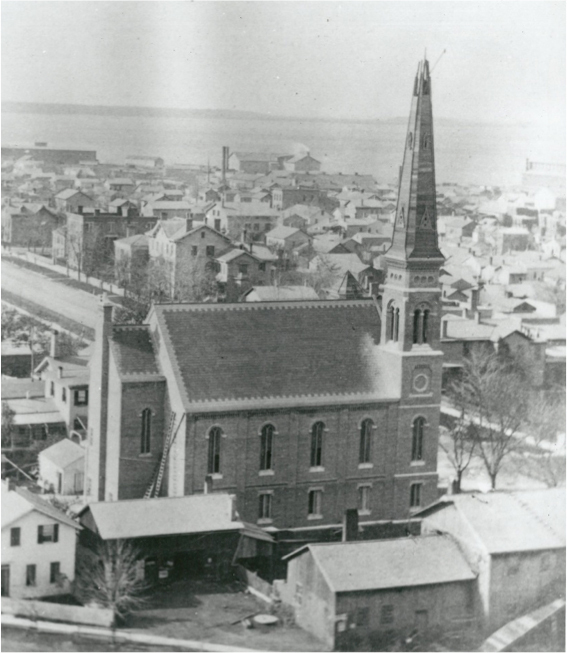 The church occupied the site until 1918 when the building was raised to make way for the new United State Post Office. 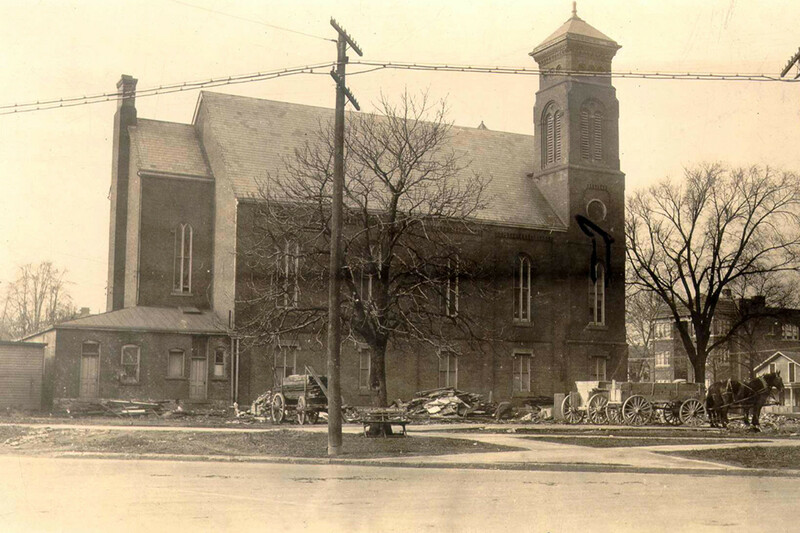 This photograph was taken about the time the church construction was being completed. One can see the work being finished on the steeple which is has not yet been shingled. This photograph was taken in 1918 shortly before the corner was cleared to make way for the new Post Office. 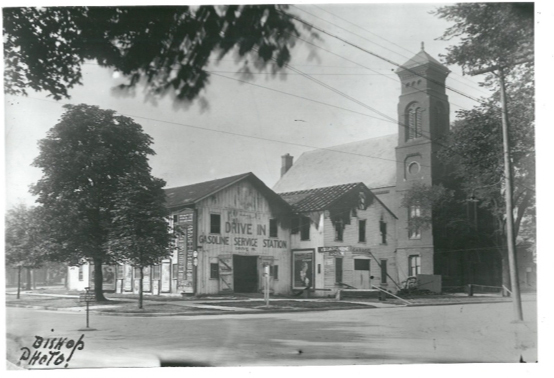 The corner buildings were Bernard Lodick’s carriage shop from 1868 to 1907. It then became a service station.